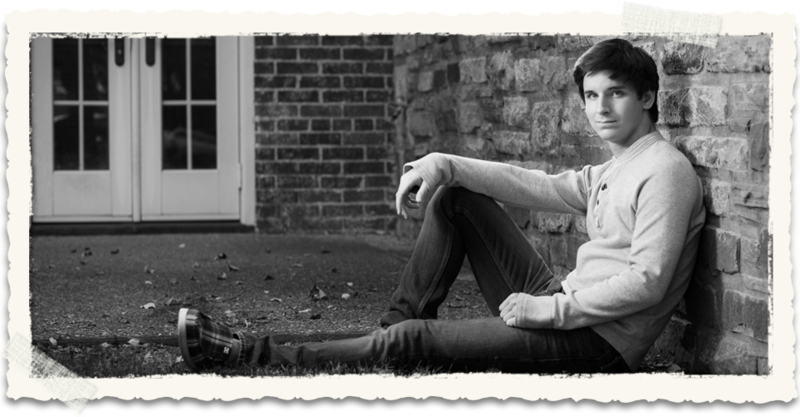 Posing people for portraits is an art form that is steeped in tradition. This is because there are a finite number of poses that a person or group persons can assume that will look pleasing when depicted in a representational form, and all of these poses have been known and used, literally from antiquity, by painters and sculptors. In more modern days, photographers have borrowed from these artists when it comes to posing people for photographs. So it is with yours truly: when I work with individuals and families, I give them clear directions as to how to arrange themselves so they will be happy later with their portraits. To be sure, I keep things light and fun as we do this, but, at the same time, I make no bones about “being in charge”. All this being said, no photographer, myself included, can be as creative and inventive with our posing as we would like to be, and there are always possibilities for posing that go unexplored in a portrait session. But not so much anymore—not since I’ve been using a little trick! I learned this trick from a fine photographer up Minnesota way, and ever since I have used it, this trick has worked every time! 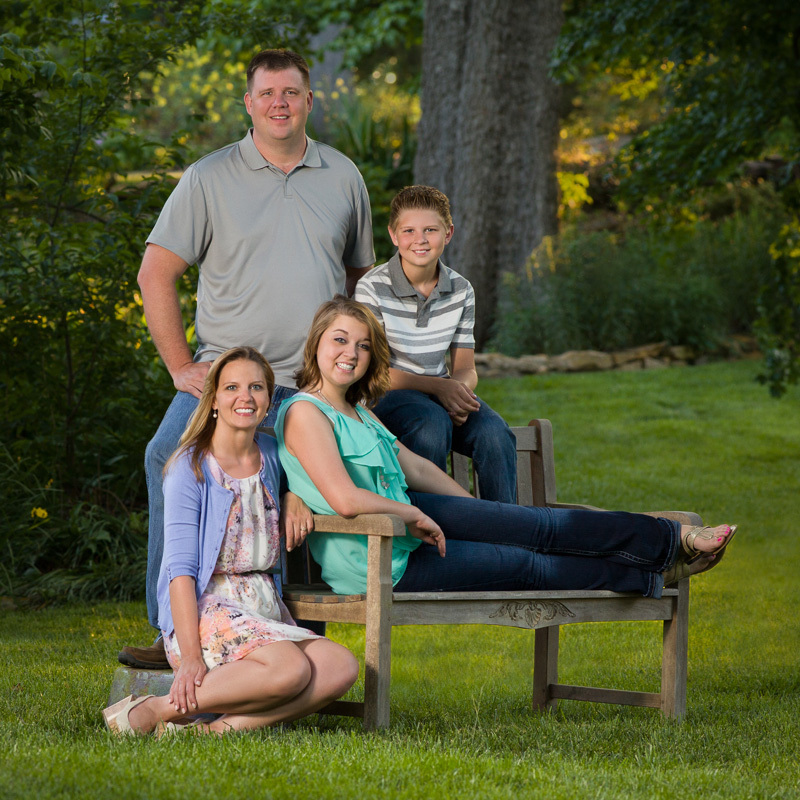 More or less, here’s how it worked with the Koehler family, who met me recently at my Claremore outdoor studio garden: I had directed the family through a series of poses, and we were capturing great images. But as the session was nearing an hour in length, I could tell the energy was sagging in the family, especially their son, Adam. We had just finished a pose around a bench, so I clapped my hands and said to them, “Let’s have some fun: I’ll count, loud and slow, from one to six. When I start counting, you jump up from wherever you are and march around the bench. When I get to the number six, you stop where you are and strike a pose!” I’ve never had a family refuse the fun, and neither did the Koehler’s. Their eyes lit up, they laughed and danced as they moved around the bench, and when the count got to six, they struck a fun and playful pose together, on and around the bench. As you can imagine, many of the poses were kinda zany, but one of the poses had a classic beauty to it, so much so that I told the family, “Wait!” I tweaked the pose, and created the portrait you see below, the portrait they chose to put on their wall. To be honest, as much as I have studied posing, this pose for this family would never have occurred to me. But when they struck the pose on their own, I recognized how well the pose worked and immediately took a great portrait with it. Now, believe it or not, every time I use this trick, the family, after three or four times of my counting to six, will place themselves in an amazing pose that would never have occurred to me but which is perfect for this family. My job is to watch for it to come, and to recognize it when it does—wonderful! Jessie is a senior in the class of 2014, and I was pleased to create her portraits in my Claremore studio in the Belvidere Mansion. Jessie is cheerful and photogenic, and we made a lot of terrific portraits. When I write these blog posts, I prefer to include only one photograph, one that represents my absolute favorite from the session. With Jessie, choosing only one was no easy task! But the image on the left was my eventual choice. I chose it because Jessie’s expression is what in the portrait world is called “composed”. In a composed expression, rather than the person smiling, they are looking with a relaxed, confident gaze. 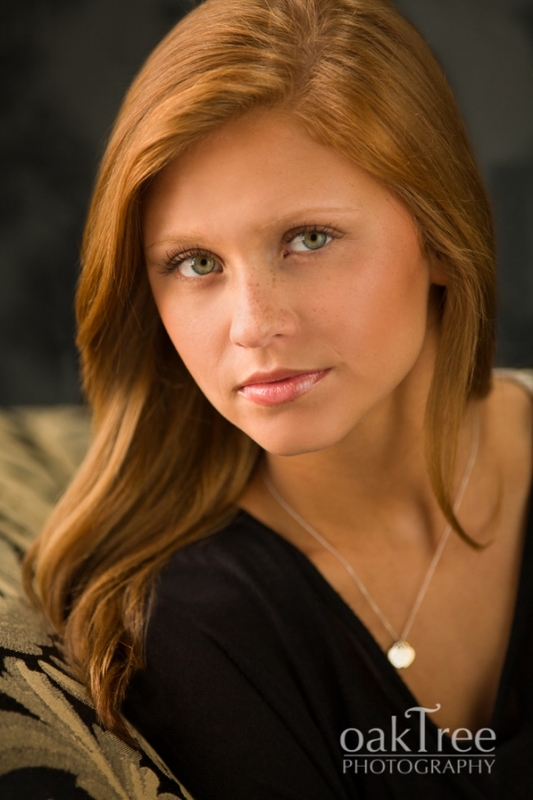 While smiling expressions are most common for senior portraits, there is a place also for a composed expression and its timeless feel. Not only that, but a composed expression draws the viewer more deeply into the subject’s eyes. In this portrait, Jessie’s eyes are soulful, and the image has a serenity that no smile can communicate. I love it when a family has come to trust me so well and to like my photography so much that they return again and again. So it has been with Rachel, Lauren, and Leah. 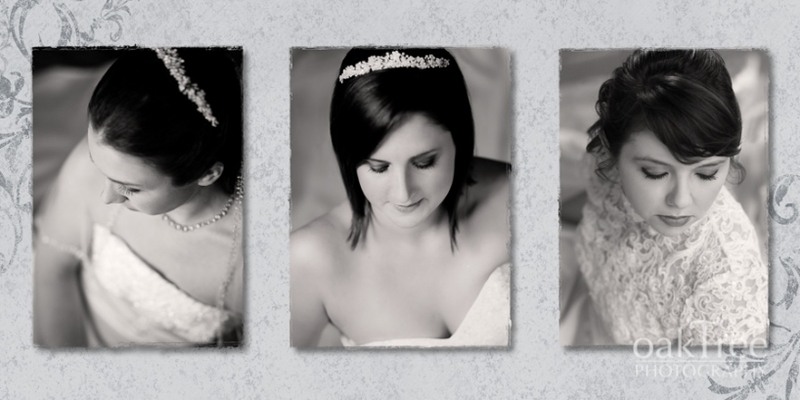 Their mother was so taken by my bridal portraiture that she came back as her daughters, from oldest to youngest, each in turn came to their wedding day. After I took their youngest daughter’s portraits, I realized that I had one portrait of each of them that would look fantastic in a unified design of all three of them together. So, I created the image you see above. I know that these type of blog posts normally gush with superlatives—after all, I’m trying to promote my photography business!—but words cannot capture how much the mother loved this design. I was pleased she was so happy with it, since that means it will hang as an heirloom image, proudly displayed in their Claremore home. I sure enjoy my studio space in the Belvidere Mansion here in Claremore, I have a lot of fun using all of the Victorian wallpaper, rugs, and furniture as backdrops, as well as taking advantage of the the massive windows for gorgeous light. One day recently, as a way of exploring some of the many ways the Belvidere can serve as a portrait space, I had Madison meet me there. We spent several pleasant afternoon hours taking beautiful portraits, the evidence of which is displayed at the bottom of this post. I photograph a lot of seniors in and around the Belvidere, and they always have a good time. The mansion is so large and there is so much variety from which to choose, their pictures always turn out unique! Did I ever have fun taking pictures of the Claremore High School production of Annie Get Your Gun. This performance was held at a fantastic venue: the Robson Performing Arts Center. One of my favorite images is at the bottom of this post. If you would head over to my Facebook page you can see a wide variety of awesome images from the performance. While you’re there, maybe you could “Like” my page! I had the time of my life taking these pictures. Years ago, when I was in college and in the early years after my graduation, I was in a boatload of musicals and operettas and operas, and taking these pictures brought back fond memories. I hope that you enjoy them as much as I enjoyed taking them!